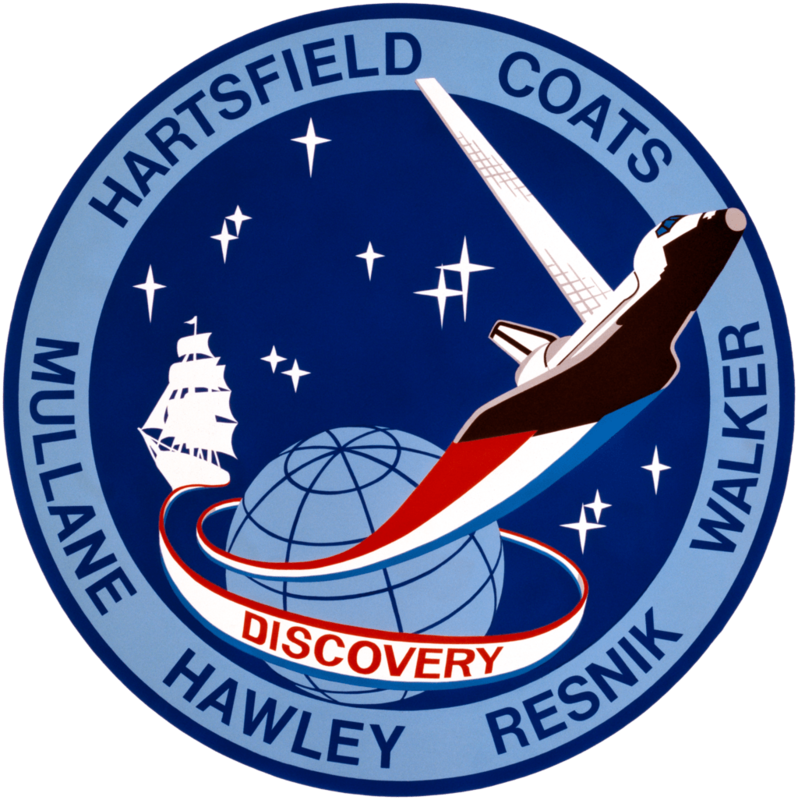 STS-41-D was Space Shuttle Discovery’s first mission. 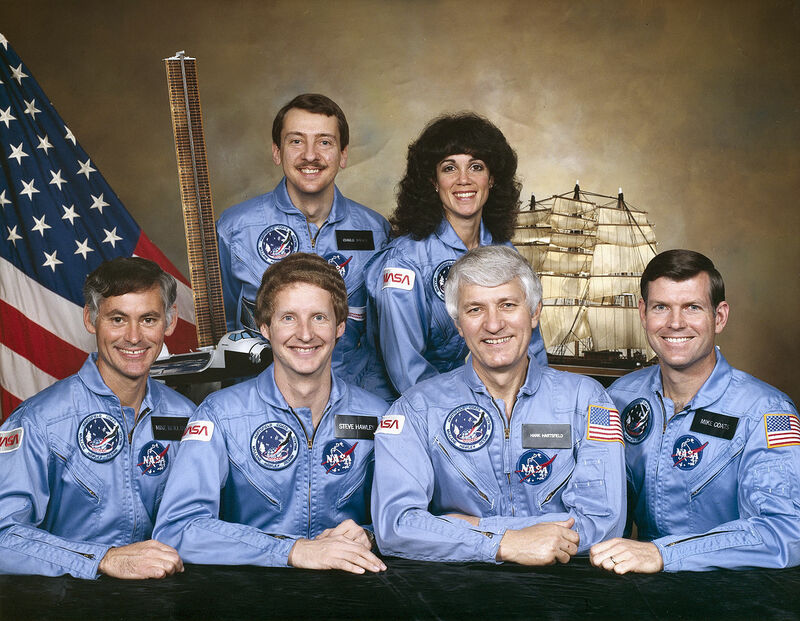 Flying that mission were: Commander Henry W. Hartsfield Jr., Michael L. Coats, Richard M. Mullane, Steven A. Hawley, Judy Resnik, and Charles D. Walker. The launch was originally scheduled for June 26, 1984, but had to be aborted six seconds prior to launch. The mission finally launched two months later on August 30. The patch bears the icon of the ship Discovery, one of the three ships in the fleet that founded Jamestown, Virginia. Around the outer edge are the last names of the crew members. Shuttle Discovery is shown with a large solar array rising from the payload bay. This array was part of the OAST-1 payload, a project to demonstrate the feasibility of large-scale solar arrays in space. In the background is a field containing twelve stars: symbolic of STS-41-D being NASA’s twelfth Shuttle flight. So, Hoot hurried back to the office in dismay to see what the crew could create. He returned a few days later with a modified patch. Whether Abbey was convinced or not, the design was approved. The constellation, Penguinius Australis, of course, was a complete fabrication. The Penguin Patch joins a long list of interesting stories about some of NASA’s most overlooked gems.